Here you can acquire 2 l Cast virgin olive oil. An OliSoldebre product placed in a 2-litre PET carboy. This container is made of polyethylene terephthalate, a material that ensures the quality and hygiene of the product without losing its properties. Besides that, it is 100% recyclable. 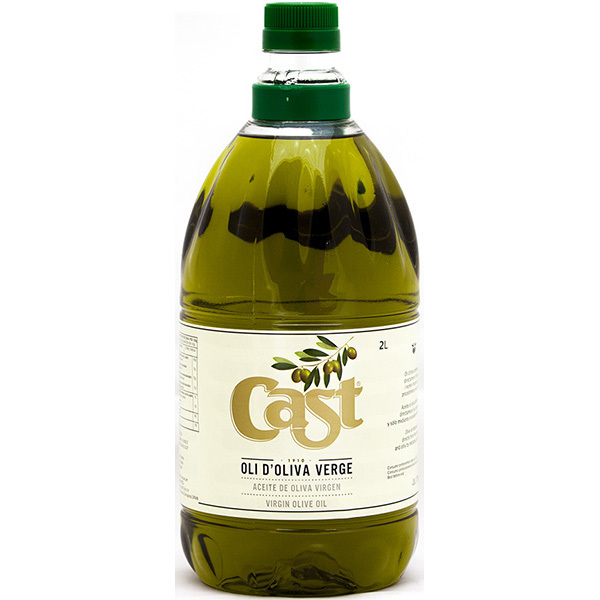 The Cast olive oil is a balanced and intense olive juice. It has an acidity degree of <1º. It is made by mixing four different olives: arbequina, farga, morruda and sevillenca. All of them give a soft fruity, bitter and spicy flavour. It resists high temperatures and remains un-degraded (180º). Therefore, it is ideal for refined recipes and fried food. production process: from the olive-growing and the collection of it to its arrival and the elaboration process of the olive oil. Thus, we get a final product with excellent organoleptic conditions. The olives are picked directly from the tree or harvested mechanically just at the right moment of ripening. Thereby, the resulting oil is not affected and maintains all its antioxidants and vitamins. Morruda, sevillenca, farga and empeltre. You can appreciate soft touches of fruity, bitter and spicy tastes. All of them are necessary in order to obtain balanced oil. It resists high temperatures and remains un-degraded (180º). Therefore, it is ideal for refined recipes and fried food. Keep in a cool dark place at a constant temperature around 13-17º and protected from vibrations. Consume preferably before 12 months. 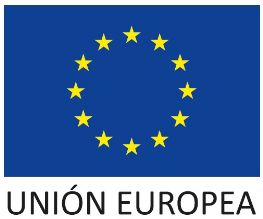 Co-financed by ERDF 2014-2020, approved by the European Commission and whose main objective is to contribute to improving the competitiveness of SMEs.